I’ve never been a morning person. Which makes my breakfast habits kinda erratic. On good days I might be able to sit down with a bowl of cereal, but most days I am running out the door with a cookie in my hand. Digestive, not chocolate chip, heh heh 😉 Sometimes I buy a sandwich or a yogurt, but I can’t say that it’s a habit. Feeling inspired I Googled ‘breakfast in a jar recipes’ and found so many interesting articles like this one and that one. 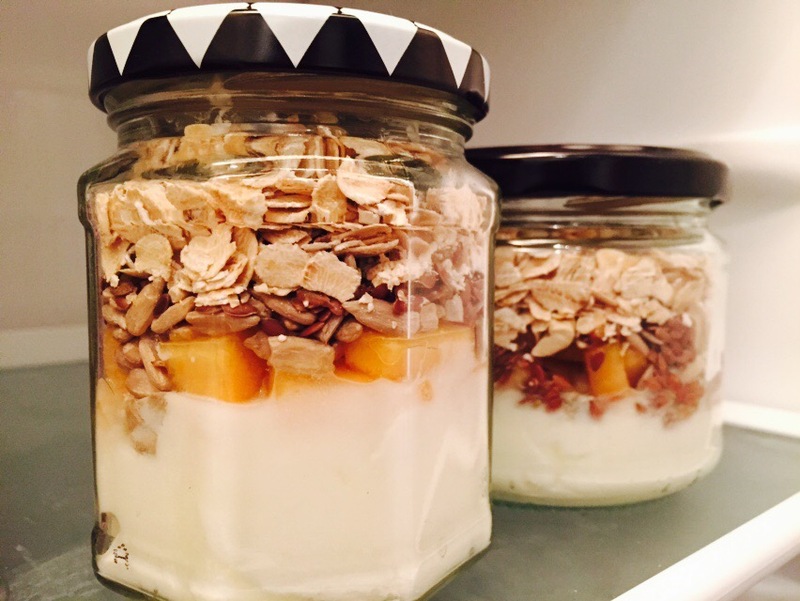 Great thing is I don’t need to be a pro at this – basically fruit layered with yogurt layered with nuts layered with cereals. I can rattle off a list of options to choose from – oats, granola, regular cereals, chia seeds, sunflower seeds, dried fruit, frozen fruit, frozen berries, honey, seeds, jams, jellies and what-not. The possibilities are endless, and I can tailor this to whatever I feel for on that day. Or the night before, in case I do the overnight version. No more missing breakfast! Yogurt, melon, honey, sunflower seed, flax seed, nuts, raisins, dry oats. 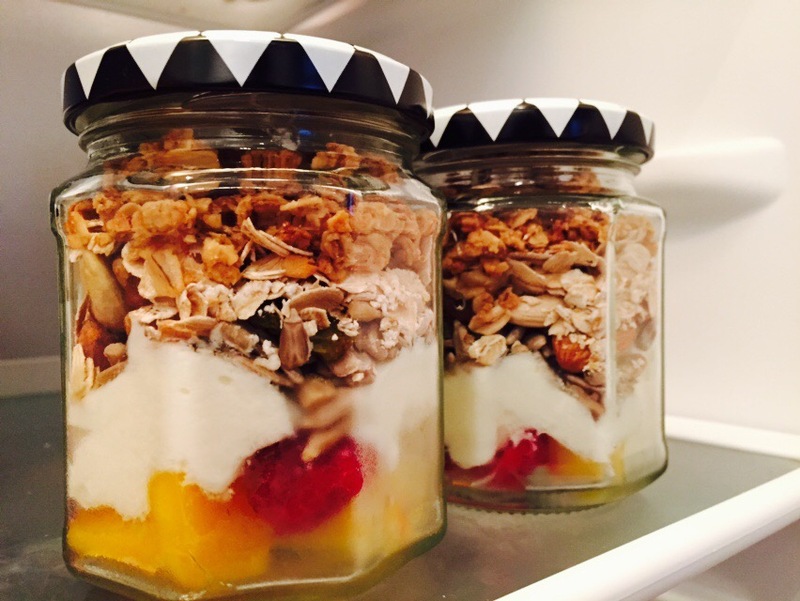 Frozen fruit, yogurt, nuts, golden raisins, oats, granola. 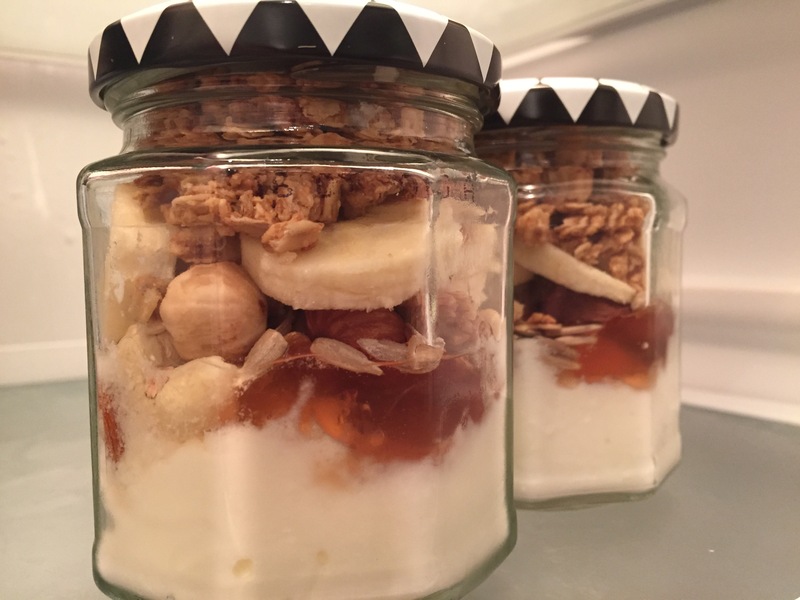 Yogurt, jam, nuts, banana slices, granola. Kvarg, sunflower seeds, fried figs, oats. What a fabulous idea! My daughter is a disaster in the mornings, always running late and skips eating , grrr. She started college classes this week, these are PERFECT for her! I think I will make some and stock up her fridge…. 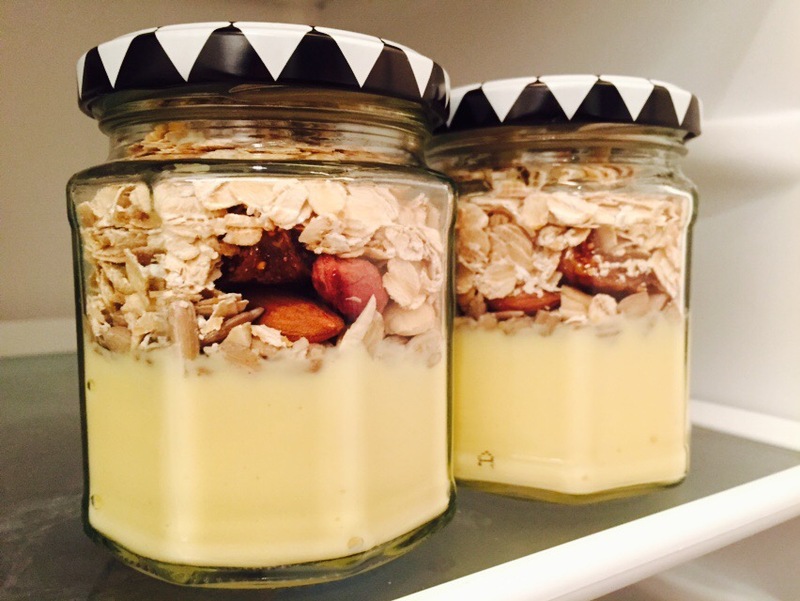 Homemade muesli? Now, you are a pro!